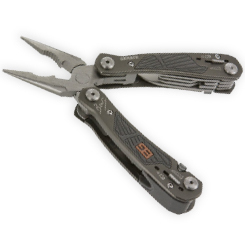 GERBER have been making quality pocket knives and outdoor tools for over 70 years. Within their product mix is a range of Bear Grylls Survival tools for those who wander the wilderness and dare to be the ultimate survivor. With the same quality stainless steel across all their blades, and new innovations for better grip and compactness, they are a must-have companion for anyone exploring new realms. Within the core range are smaller lifestyle products, they have cross-uses from outdoors to home life. The everyday essential kit is popular with those whom enjoy camping, fishing and other outdoor pursuits, Bear Grylls and GERBER have something for everyone. Discover your GERBER today at My Tool Shed.